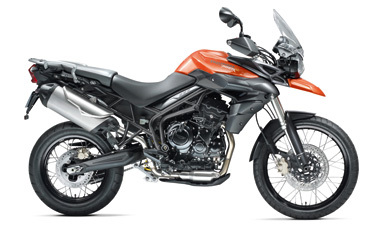 Triumph Motorcycles America has recalled 1,186 of its 2012-2013 Tiger Explorer and Explorer XC motorcycles due to incorrect certification label information. Triumph says the incorrect label could cause the operator to overload the motorcycle which may result in handling issues and/or tire failure, increasing the risk of a crash. Triumph will notify owners and replace the labels with corrected GVWR data, free of charge. The manufacturer has not yet provided a notification schedule. Owners may contact Triumph at 1-678-854-2010 for more information.